Also feel free to check out more recent testimonials at AngiesList.Com. We are a preferred company on Angies List. inspected an expensive home prior to purchase- then reinspected after notification from seller that all items were done- they were not so seller had to contact their contractor- work was then performed and reinspected again to confirm - job well done. Shawn was very thorough in the home inspection and took the time to explain any issues that he found with the property so we knew what we were getting in to. As a Realtor, I've worked with many different home inspectors, but I have found that Shawn with Norris Property Inspections has consistently been the most thorough and that he doesn't rush through an inspection just because he's busy. I highly recommend him and will definitely use him in the future! Top notch. The inspection was very thorough and the report summary was the most comprehensive and informative I have seen. We have bought and sold many homes and this was the best service we have ever had. My wife and I were very impressed in how thorough the inspection report was. Very informative as to what should be repaired vs recommended for repair. Prompt in both, the scheduling of the inspection and in receiving the report. Everything was excellent!! Being a first time home buyer, Shaun Norris made us feel at ease with his professionalism and attention to detail. The inspection went great, not only did Shawn point out defects, he educated us on the importance or non importance of the findings. I would defiantly hire again. Thank you Norris Property Inspections!! Norris Property Inspections was excellent. I've never received a more thorough property inspection....ever. I highly recommend this company. This was difficult time for my wife and I because after making a thorough investigation of the available properties for us to purchase and invest in we decide on this property but needed to have it inspected by someone competent and with whom we could feel comfortable. 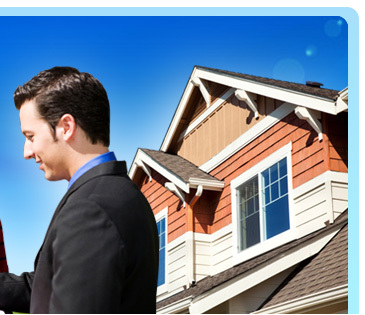 We do not live in the area and we relied on our real-estate agent for recommendations. He introduced us, via email, to Shawn Norris. Shawn was very attentive to our needs and the fact that we were remote from the area. He met our timing needs and continuously kept us informed through out his inspection which helped keep our anxiety down during this closing period. He also helped us a lot by keeping our agent informed, with our permission, so it reduced the lag time of information flowing during the closing period. Shawn's report was detailed, thorough and timely which were all the things that were important to us in this process. My only regret is that I could not meet him in person so I could shake his hand and say thanks, it was a very good job! I do recommend Shawn for a home, apartment or condo inspection. Shawn was great! I live in Atlanta so I was not present for the inspection, which made me a little nervous. Shawn was very quick to get me on his schedule and the turn around time for the report was 24 hours. He found some pretty substantial things wrong with my unit that I was able to get the seller to pay for prior to my purchase. He was on time, did an extensive job and gave me a very professional report. I know he went over and above on the items he looked at. I was very impressed with what he found and he categorized it, as need repair immediately, or in the future. This really gave me the information I need to proceed with the repairs. He was available for any questions I had and was just very professional. we scheduled the service for a Saturday and he happily agreed to come out. he was early and started right away. he did a very thorough, top to bottom, home inspection and then walked us back through the house, room by room, to point out the issues he identified: a few cosmetic issues and some really major issues. based on his inspection we withdrew our offer to buy. he was a very nice, very patient inspector and he spent a lot of time reviewing his inspection with us. There is NO question: i would call him again. Description of Service: Norris Property Inspections performed a home inspection and wind mitigation report for the home I am purchasing in Destin Florida. The inspector/owner, Shawn, was exceptionally professional and courteous. He was on site and working prior to the schedule meeting time and worked diligently for the entire time he was there. Throughout the inspection he shared with me what he observed, good, bad and otherwise, and often offered suggestions on ways to address the matters we discussed. He took the time to talk when appropriate, but was diligent in his inspection work. I've seen inspectors work several times before and this was by far the most thorough and pleasurable experience I've ever had. I would not hesitate for one second to call Shawn for assistance in the future. Description of Service: 4 point inspection and wind mitigation on my home plus two rentals in Niceville Florida. Shawn was very professional in every aspect of the inspections. Work was done in a timely fashion. Description of Service: They did a pre-purchase home inspection in Water Color. It was wonderful. Shawn Norris, the owner, is fabulous. He is very professional. He zealously looked after my best interest. He is very detailed and thorough. He goes above and beyond to make sure that the potential property owner is looked after. To make a review please click on the Angie's list logo.